Three days of shad – Indian Head Charters Inc. Both Capt Dave and I completed three days of shad fishing this week. It was not gangbusters to say the least. We had some funky water clarity that shut down any bite we had going. The fish where there but would not strike unless we found some clean water. In total we landed 40 to 45 shad on two boats three days each. But on a more respectable note we did catch about 12 whites in that 40 to 45 shad. Two over 4lbs was a fun fight on ultra light tackle. On another side note Thursday I did not catch any shad and my crew froze as they thought it would be warm. 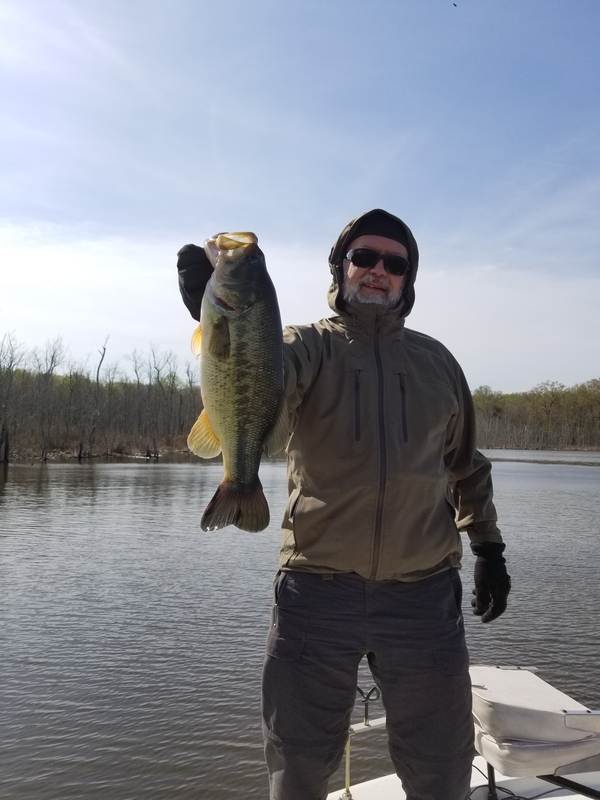 The wind was cold brutal and made them shiver the first two hours so I moved out of the wind and did some bass fishing with Woody spinners on the same ultra light tackle. Three big bass where landed. Those three where over 4lbs each. Two small bass where also landed. One had a live craw sticking out of it stomach. And that bass hit a spinner minutes after eating a crawfish. Greedy green trout. The meal was fantastic afterwards. Great crews and fun times.